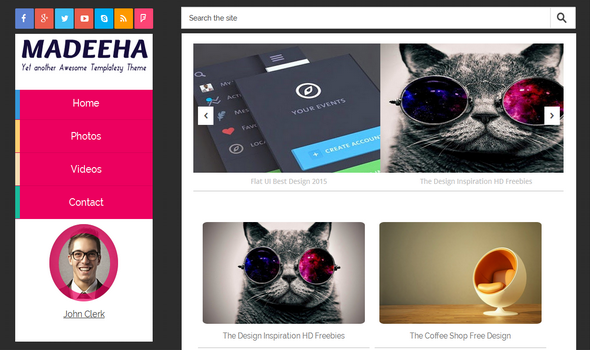 Madeeha Blogger Template is a modern clean fully responsive UI based flat blogger Template. It is simple, elegant and professional blogger template. 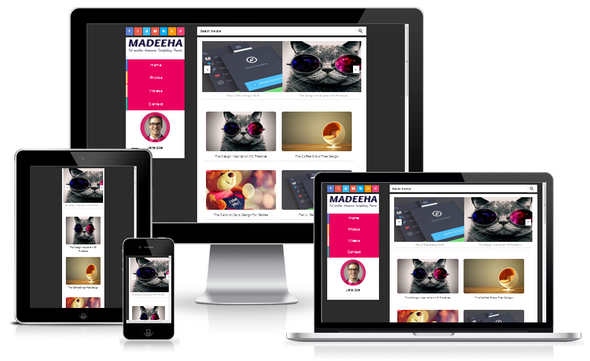 100% Responsive Mobile Layout: Madeeha is a fully responsive just like fotolia theme. 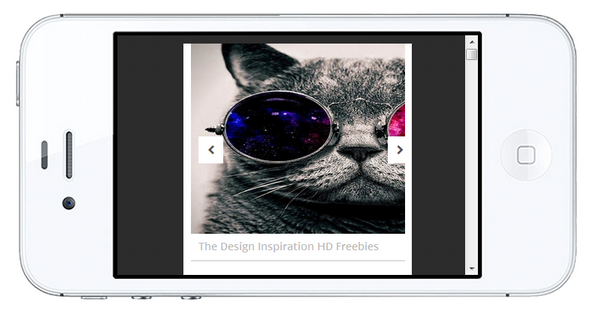 This theme can be displayed perfectly on every screen resolution from desktop screen to Iphone, Ipad and mobile etc. Madeeha Blogger Layout: Madeeha Blogger Template is an advance theme which can be found in two different layout interfaces. The only difference in both layout is only the slide show image position. SEO Friendly Template: Madeeha is a completely SEO friendly template like IconMag . We have integrated all splendid widgets that are necessary for SEO structure. It is almost SEO friendly template which shows h1, h2 and h3 heading on different location with proper SEO technique. Sticky Navigation: Just Like Magazine Blogger Template, A similar navigation with extra Author bio wrapper has been added at the left sidebar. This menu will remain stable on scrolling the site. Load Faster : Madeeha is a super fast loading template similar HipMag theme. This theme can take maximum upto 0.3 second to load on any browsers. Drag & Drop We always looking for internal structure to make it very simple as possible. Since, you don't need to customize it internal parts to add a widget or installing ads code. This theme works with drag and drop seen from layout dashboard similar to Organic Theme. Ads Ready: Are you looking for ads ready blogger template ? We have integrated simple ads slot widgets that would help to display your adsense or buysellads advertisement. So you don't need to customize the internal structure of a template. Related Post Thumbnail: Professional type related thumbnail widget installed that would help to display related posts visually maximum upto 8 posts. This widget bring extra exposure in the design layout and it unique from all our previous template. We are really hopping you liked Madeeha blogger template and it would be your perfect choice for your next creative website. We have done all our best to add all precious widgets, since if we miss something precious kindly do let us know through comments.